Auction Fees USA is the easiest and fastest way to calculate your eBay fees and net profit when selling items on the US eBay site. Specifically designed for the US market, Auction Fees USA, will accurately calculate how much it will cost to list your item along with final selling fees and most importantly, show you your net profit. Not only does Auction Fees USA work out your eBay fees but it will also calculate your PayPal fees so you have a true understanding of exactly how much profit you will make. • Quick Quote, allows you to quickly work out fees and profit in just a few seconds. 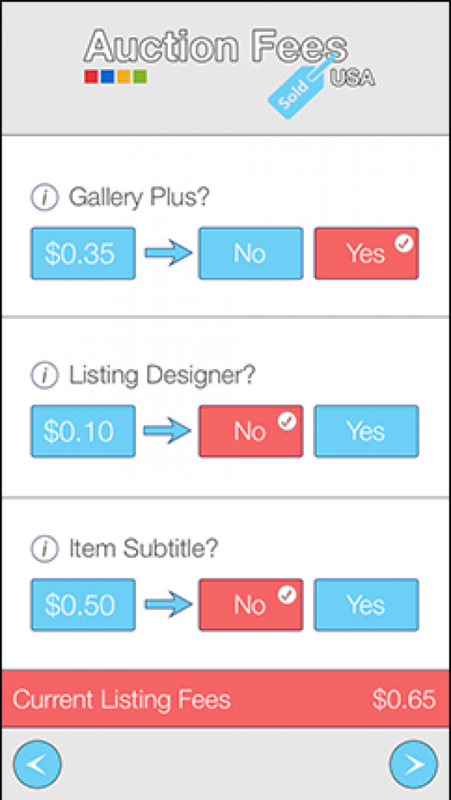 • Includes optional listing features such as Gallery Plus, Listing Designer, Reserve Price etc. 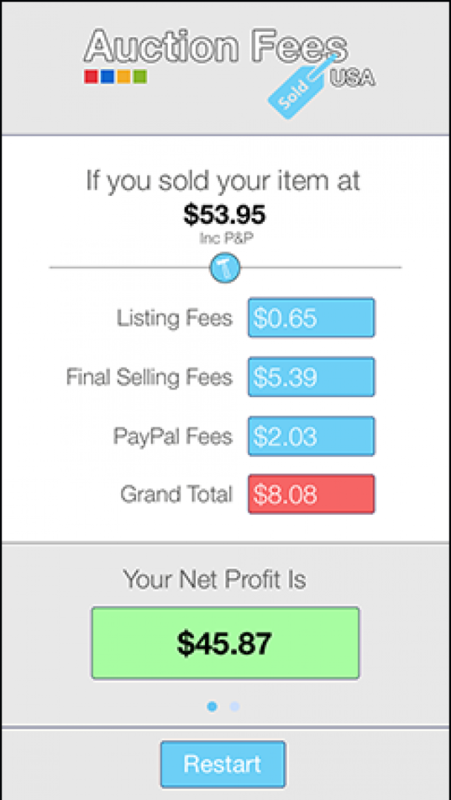 • Ability to change PayPal fees depending on your monthly sales volume. • Information buttons throughout the app. 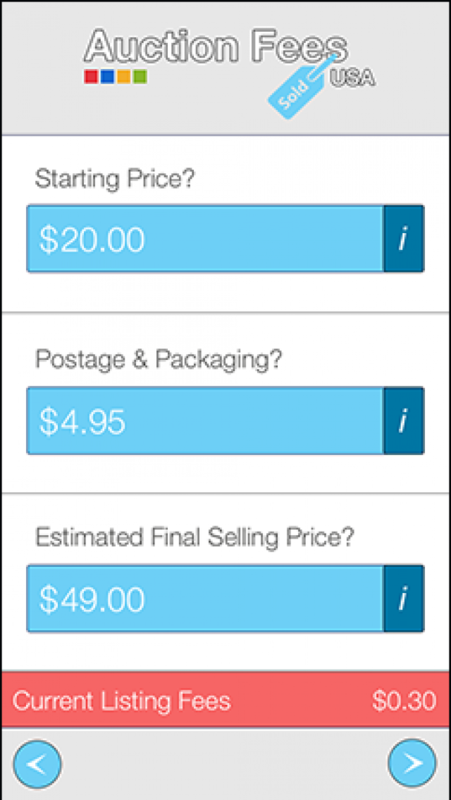 • Ability to change your 'Final Selling Price' on the breakdown screen, Auction Fees USA will then magically recalculate your fees and net profit. 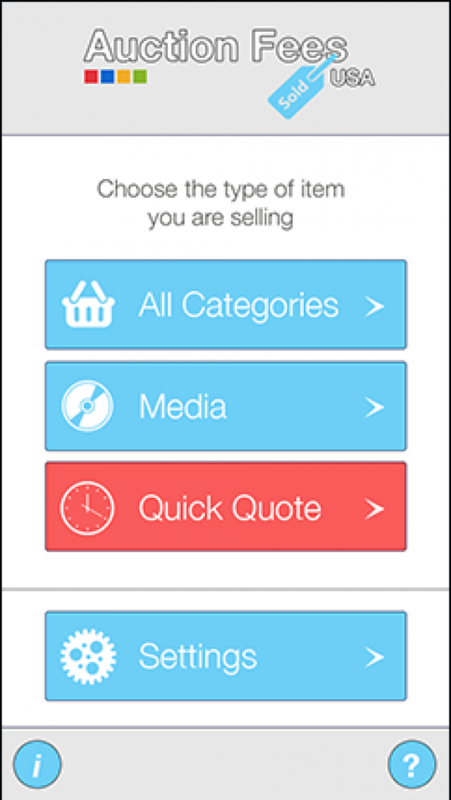 Auction Fees USA is simply a must-have app if you are selling on eBay. No longer will you have to sit with a calculator trying to work out exactly how much your fees will cost, instead you can use Auction Fees USA to do all the heavy lifting. 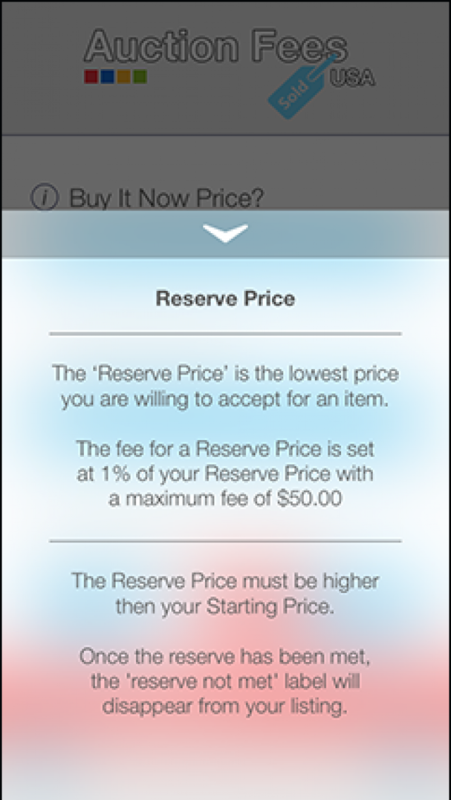 To top it off, Auction Fees USA not only looks great but is also incredibly simple to use and has a friendly user interface.